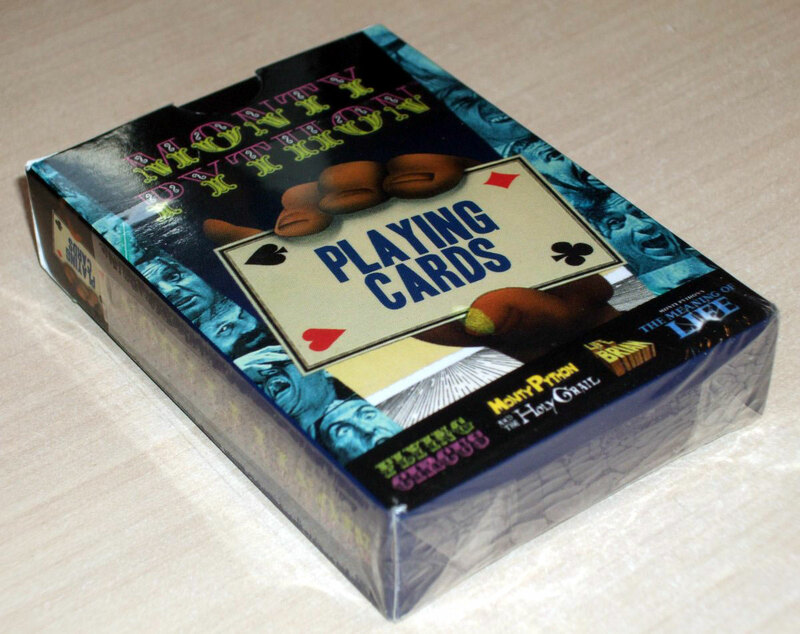 Monty Python Playing Cards are marketed by ‘re:creation’ and made in China by an unknown manufacturer to a high quality standard. The four suits are each dedicated to one of the three films, or the television series. Each of the court cards carries a photograph of a leading character from the associated film or series, cropped from an actual film still. 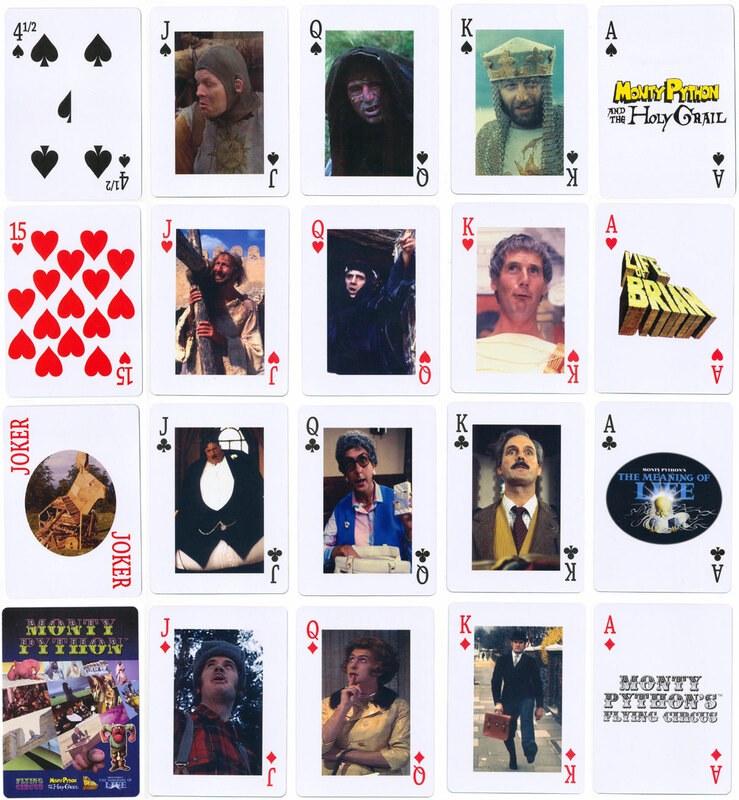 The pip cards are left plain, but in true anarchic Monty Python fashion, two additional cards are included with the deck: 4½ of Spades and 15 of Hearts. The backs of the cards are printed with a collage of characters from the television series and the logo-titles of the films and television show. The deck is supplied in a standard cardboard tuck-box, within a tin (click to zoom). 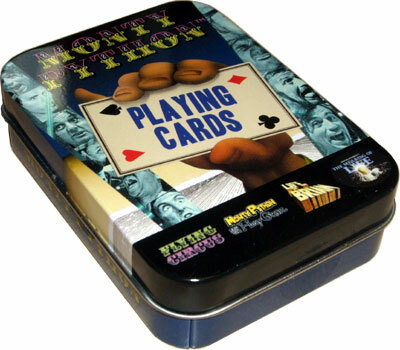 Above: Monty Python playing cards marketed by ‘re:creation’ and made in China. Images and review courtesy Matt Probert.